Israeli soldiers injured, Thursday, thirty Palestinians schoolchildren, including one who suffered a serious injury, after a group of soldiers and colonialist settlers attacked them, in Hebron, in southern West Bank. 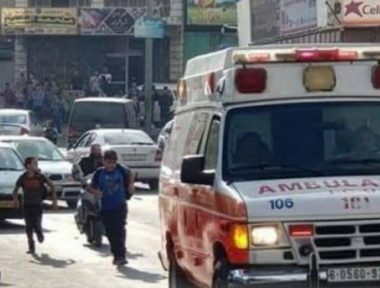 Medical sources in Hebron said thirty children suffered the severe effects of teargas inhalation, including one child who suffered a serious injury, before he was rushed to Mohammad Ali Hospital in the city. The school principal said a group of illegal colonialist settlers surrounded the school before assaulting several children and added that the soldiers then started firing gas bombs and concussion grenades at the children, instead of removing the assailing colonists. He stated that one of the colonists who attacked the children is known as Ofar, who frequently calls for killing the Palestinians and expelling them Palestinians from Hebron, and the rest of occupied Palestine.